The way to a fit body starts in the mind. How often have you started a training regimen, only to abandon it within the first week? Perhaps it’s a matter of discipline, or a matter of sheer willpower. More often than not, it’s in the way you prepare to tackle this ongoing challenge. 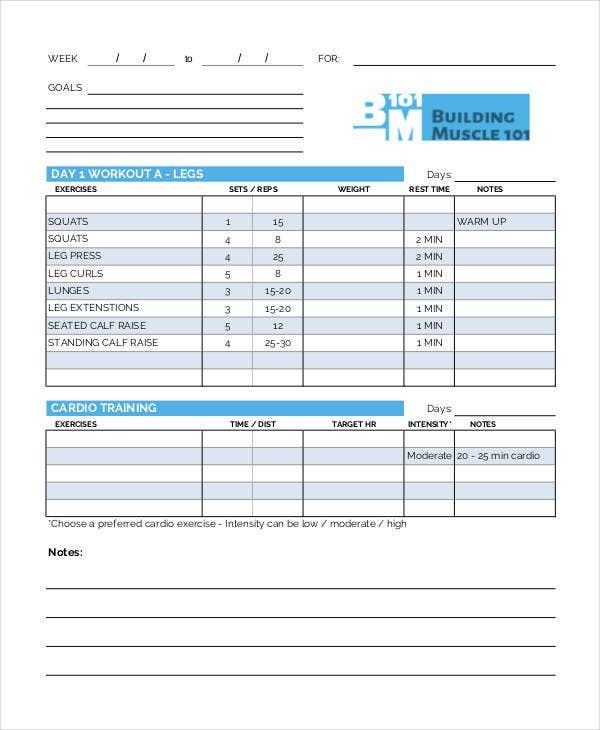 Before you say workout schedules don’t work for you, take five minutes and look through these chart templates. These cover everything you might need to ensure better chances of following through—from daily and weekly workout schedules, progress charts, logs, and exercise information charts. Get all this as free PDFs and see if they don’t see you through the long game. 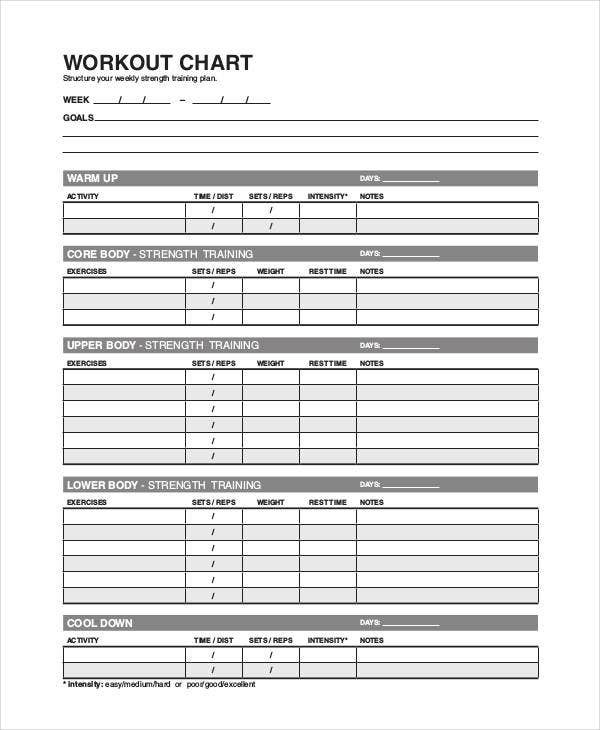 These workout charts are meant to help you be more deliberate about your routines—whether you are persisting through trial and error, hunting for a set of tools to help you manage your workout habits, or whether you are just starting out and hedging the risks of flaming out early. The key is in tallying small wins until, over time, you start seeing results. 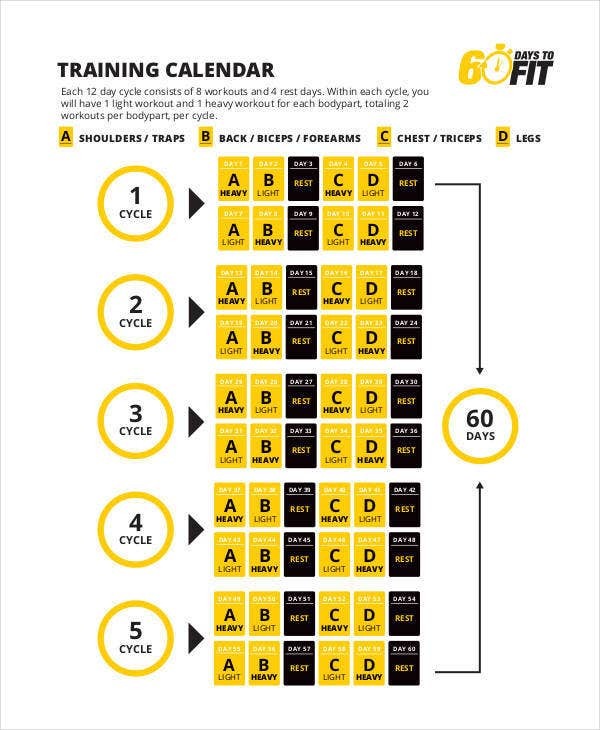 Making sure you develop a chain of successive workouts over a committed period of time is your first battle. 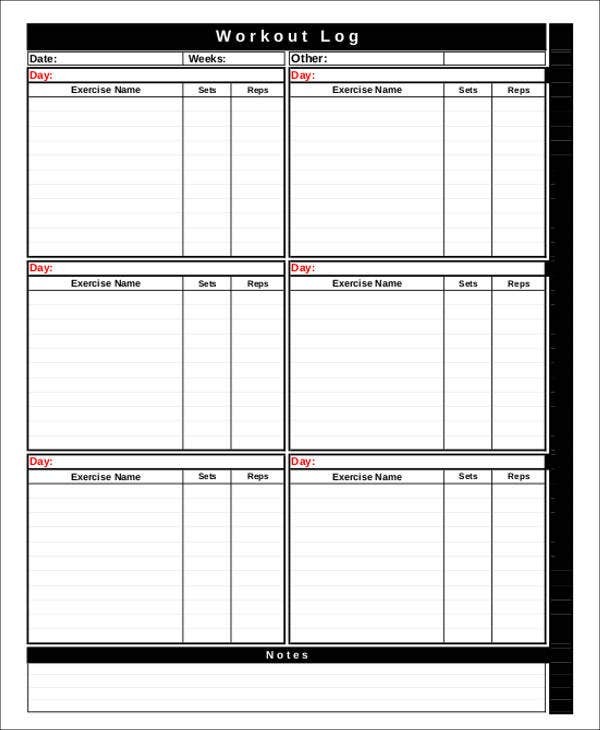 Weekly Workout Chart Template—Unassuming and unintimidating. 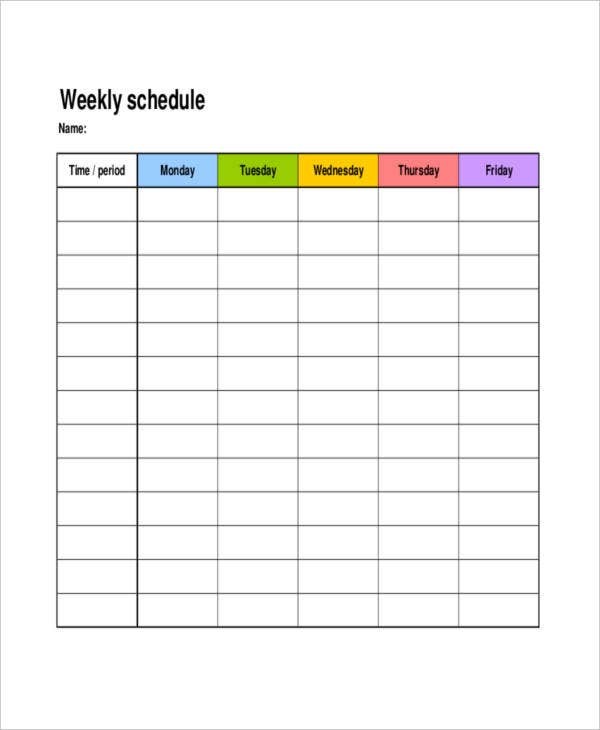 All you have to do is mark at least three days in the week you’ve followed your workout routine. Start simple to up your chances of following through. 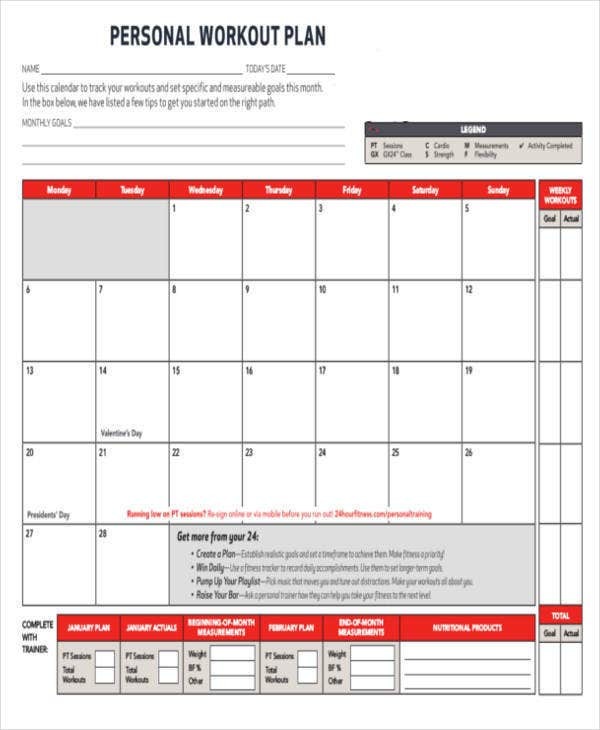 Monthly Workout Chart Template—This will give you a much larger scope to work with. 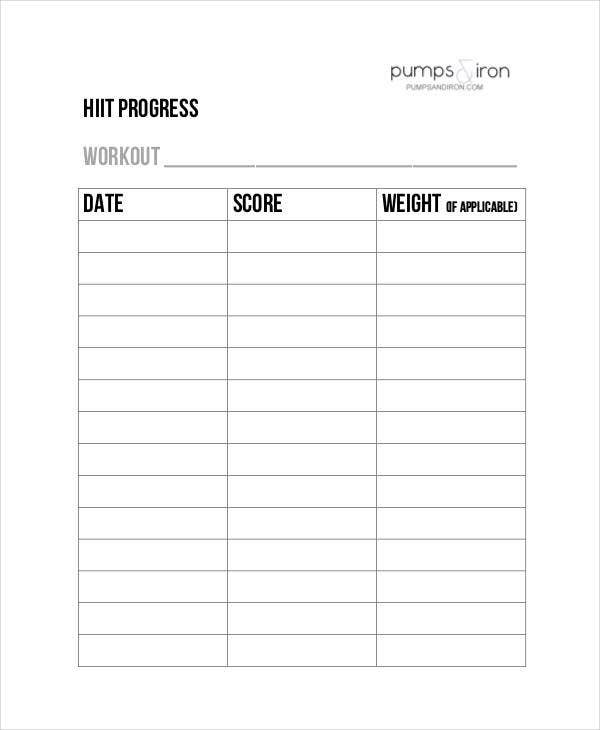 Use it as a Behavior Chart to mark every day you’ve won against yourself and did the workout. Once you see a chain forming, all you have to do is to not break that chain. 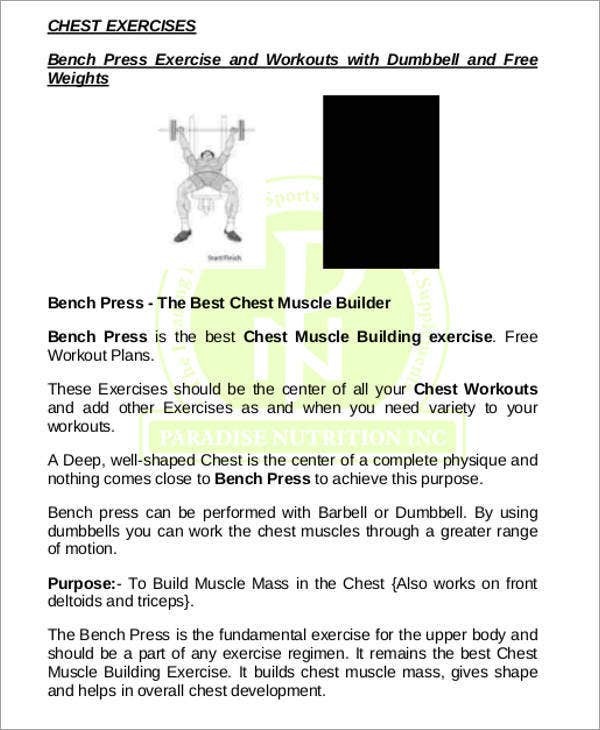 The Biceps Workout Chart Template and the Chest Workout Chart Template are similarly helpful charts to have on your wall next to your calendars. 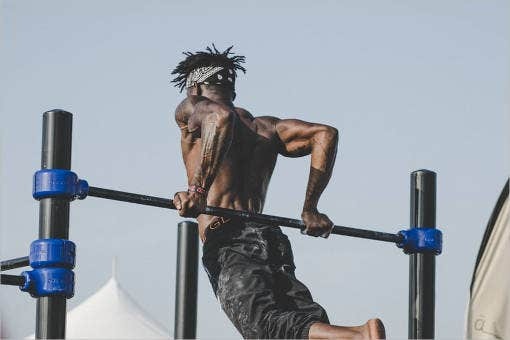 Understanding what you’re doing and why as well as tracking your progress will go a long ways to motivating and helping you accomplish what is, to others, a formidable task. These charts are designed to be useful right away. Short of having you develop a plan from the ground up, the built-in features of each chart will give you an informed (and therefore wiser) start. They are all available to download as PDF files and print out for free, so take what you need and enable yourself to accomplish your goals strategically. Want to track how your progress changes over time? If you’re in this for the long haul, as in training for marathons, triathlons, and other high-level sports, a Control Chart will help you track your performance over time as you strain above or fall below your average. No long-term workout strategy should miss this.